SmartCAMcnc has released SmartCAM v2019, a family of CAM software products that comprises applications for CNC milling, turning, fabrication and wire EDM. 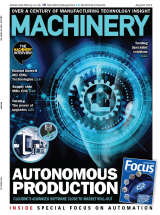 SmartCAM v2019 delivers newly developed adaptive solid-pocket and solid-planar processes in the SmartCAM Advanced Milling, Advanced Turning and Freeform Machining applications. Also included are many customer-requested changes to the user interface and core functionality. What’s more, a variety of improvements to NC code generation provide added flexibility. The adaptive solid-pocket process is used to create consistent engagement, high-speed rough milling toolpaths when pocketing on solid or surface models. Here, the solid CAD model may contain single or multiple closed pocket features, and can comprise any number of islands or 'shelves'. Pocket walls can be vertical or drafted, with bottom fillet radii supported by the process. 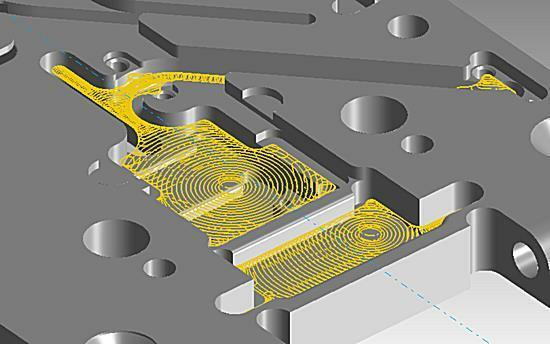 A newly devised adaptive solid-planar roughing process has also been added to the adaptive milling toolpath modelling task set. This process is used to create consistent engagement, high-speed rough milling toolpaths when material must be removed from a stock volume on solid or surface models. The model may consist of any combination of core and cavity features, with open or closed, blind or through regions, and can include any number of islands or 'shelves'. According to the company, solid-planar roughing is suitable for simple prismatic parts through to moulds and dies with complex surfaces. SmartCAM v2019 also benefits from many detail changes that deliver a further refined and refreshed appearance, as well as improved ease of use. These modifications include, for example, individually sized toolbars, optional text on toolbars, toolbar sets, zoom view to active group, and gradient background in the graphics window. Improvements to NC code generation comprise: better handling of hole-milling operations; code generator/macro system integration; and the setting of decimal, integer and string macro variables during code generation. Finally, core enhancements include newly devised 64-bit SmartCAM applications, better knowledge-based machining and updated data translators.